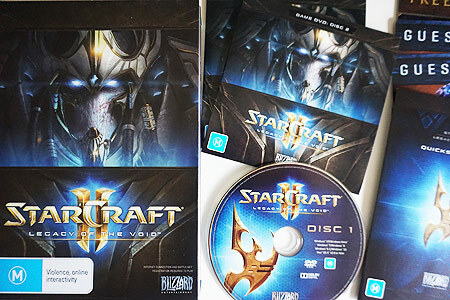 Well, Legacy of the Void is here! Oh these note pads :’D. 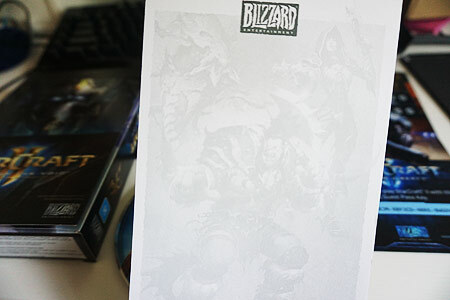 This is gonna sound silly but I’m slightly disappointed by the fact this notepad design is not Protoss/Starcraft exclusive. Where’s the consistency? I don’t want a generic Blizzard image, XP. I spent some time checking out the new features, game modes (archon mode, CO-OP, vs AI) and had a glimpse of the new units. Most of the game feels about the same, except I’ll probably have to learn new build order/openings since the timing is all crazy off with additional starting workers, and less mineral patches. Interesting to see how I can incorporate the new Terran units too. They’re kinda weird at the moment, haha. Heart of the Swarm is out! I still haven’t completed the “Wings of Liberty” Campaign, but I don’t mind going back to that at a later date. 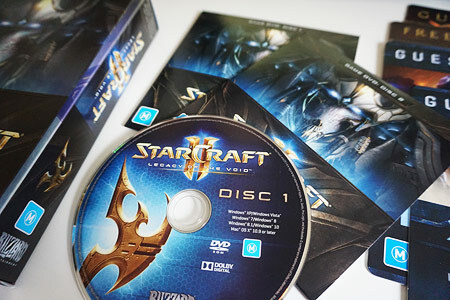 For now, I just want to check out all the new features in “Heart of the Swarm”, play some ladder and gain some EXP! This is the latest episode that’s been released at the time of writing. Gosh I love that Queen >.< I hope these never stop being made! I wonder if people feel the same way about MoonSticks, as I feel about StarCrafts?